My guest this week is Marcia Melton, whose debut novel, The Boarding House, was just released by Raven Publishing Inc. Although written for middle grade readers, I was caught up in this story of survival. 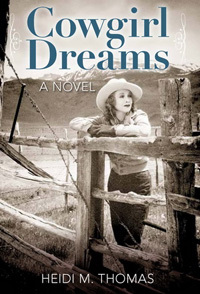 Marcia has captured the flavor of the early 1900s in the rough-and-tumble mining towns of Montana. The lives of eleven-year-old Emmie Hynes and her twelve-year-old brother, Conrad, are changed forever when a tragic mining accident kills their beloved Papa. Forced to bid a numb farewell to their home and friends in Butte, Montana, they move into a dilapidated boarding house in Philipsburg, a small town across the mountains. When Mama finally gets the boarding house shined up and running smoothly, and Emmie and Conrad are beginning to fit into their new community, a financial crisis threatens them with homelessness. Join Emmie and Conrad in the tumultuous world flavored with political intrigue, the fight for women’s suffrage, dangerous mining practices, and labor conflicts in 1914. Marcia, congratulations on your young readers’ novel! Tell us where the idea and inspiration came for this book. I grew up in Montana and for me, it is a place rich in family history and stories. Like many people (no matter where their place of roots is), I wandered to many other places, but now that I am able to spend more time in Montana, the stories are bubbling. There is a vast kaleidoscope of material here for me – both family stories and the stories of Montana in general. I visited the small town of Philipsburg, Montana, where my great-great grandmother had run a boarding house and lo and behold, the building was still standing! When I stood in front of its weathered wood façade, a story just hopped out! As a child, books and libraries were magical places for me. In the best of times, they held adventures and friends, and in the hardest of times, they held solace. My career was spent as a librarian and a teacher of children’s literature so a children’s book is comfortable territory for me. I certainly can identify with you about the magic of libraries! The setting is in real places – Butte, Philipsburg, Anaconda, and Helena, Montana. The characters are fictional as are many of the events. As happens in writing, I think, I used memories and people from my family for my inspiration, but when I got into it and the story got going, it took on a life of its own and magically galloped along. By then, I was just glad to be along for the ride. I did thorough research so that the story, dates, and events which occur within the context of the story would be accurate. 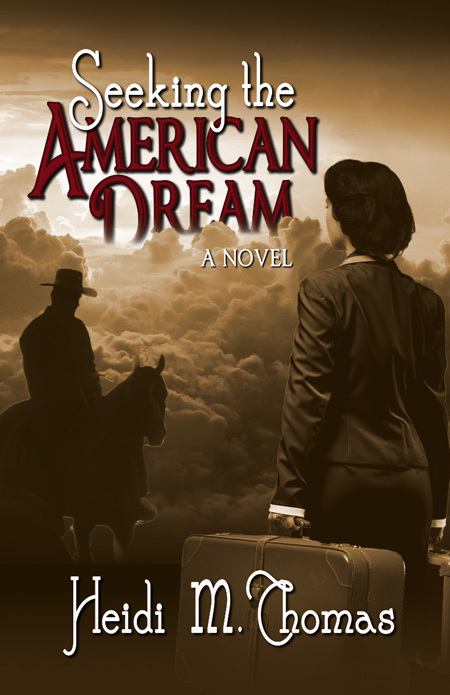 The backdrop of mining and labor struggles, the suffrage movement, the events of 1914, the State Fair, and Jeannette Rankin’s leadership and speeches in favor of suffrage are all things which I researched to be able to accurately weave them into the story. My grandfather, who was a small town newspaper columnist and poet for many years in Dillon, Montana, wrote me a letter on my 16th birthday in which he said, “Try to be a writer…[there is] a touch of class there.” I have that letter framed and sitting on my desk. Sixteen to now is, for me, quite a long time. Still trying! Who/what motivates you to write? When writing fiction, the best motivation is that feeling of entering another world, somehow crossing an imaginary threshold to see what will happen as the story and the characters take on a life of their own and “become real” (as in The Velveteen Rabbit). Time at one’s desk, or in the old green easy chair where I sit, keeps one world at bay, while another world beckons. When working on researched writing such as articles, essays, or nonfiction, the interest and learning that comes from research, the treasure hunt aspect, is surely motivating. Overarching all is that writing gives a way to share and connect with fellow lovers of ideas, books, and stories. Are there any writers (living or dead) that have influenced you? In the field of children’s historical fiction, the standard bearers for me are Katherine Paterson, Karen Cushman, Patricia Reilly Giff, Lucy Maude Montgomery, and Deborah Hopkinson. That being said, my all time favorite writer for children is E.B. White and for adults is Gabriel Garcia Marquez. What do you find particularly challenging in writing? Three words best answer this – Stick To It. I don’t know if having a “wandering mind” is a phenomenon for all writers… but for me, this is both a wonderful blessing and a challenge. Corralling my wandering mind to focus on working on the story at hand, instead of dreaming up new ones can be my biggest hurdle. Those three words “Stick To It” are surely applicable again and at the same time, to follow your dreams and let the stories carry you away. Knowing that there will always be readers out there who need and want to sink into a good story (like we did growing up and all through life). The formats may vary and change, but the power of story-sharing stays the same. It connects us and for all writers, but especially for beginning ones, turning on this light gives a beacon and keeps us on the path. The integrity of staying with the story is first and then one can enter the whole bailiwick of the publishing world with the gem of your story in hand. 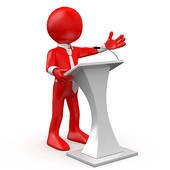 There are many publishing avenues available to beginning writers and creative ways to bring one’s words to the public. I felt very grateful to find a fine-quality, small, independent publisher, Raven Publishing, Inc. of Norris, Montana. 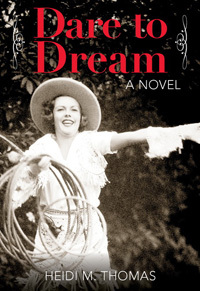 Ideas are popping like popcorn and I hope to be able to write more Montana historical fiction for middle grade readers. This summer brought trips to two history-filled places in Montana — Fort Benton with visions of 1860’s steamboats along the levee, and Bannack with gold rush fever. I am hoping some characters and stories await here. I am a librarian and former teacher of children’s literature. My family roots echo back to the 1880’s in Montana in the Butte, Dillon, Philipsburg, Fort Benton, and Bears Paw mountain country. 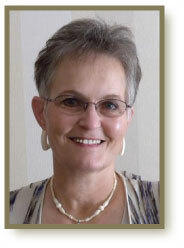 I have worked in many education settings from Head Start to higher education in Arizona, Montana, and New Zealand. I am glad to now be living back and forth between Arizona and our family cabin by the Gallatin River in Montana. Aren’t we told over and over to start our story in the middle of the action? 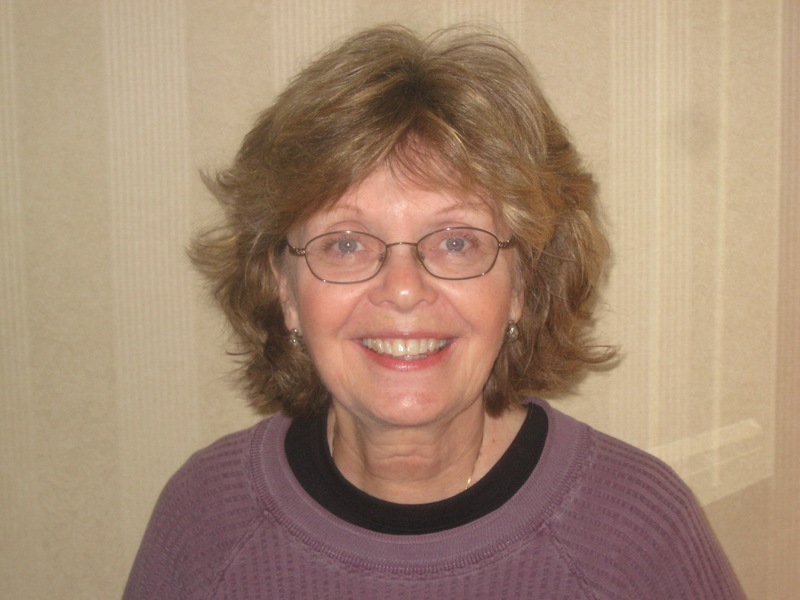 Jane Kirkpatrick is the author of twenty-three books and is a two-time winner of the WILLA Literary Award. 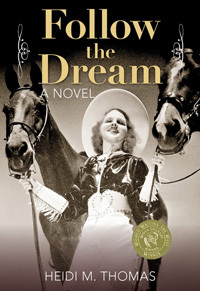 Her first novel, A Sweetness to the Soul, won the Western Heritage Wrangler Award, and she is known for writing historical fiction based on “real” women pioneers. 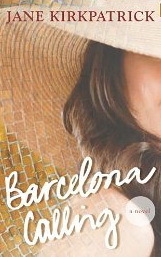 Jane, I loved reading Barcelona Calling. This is a totally different book for you, even a different voice. Tell us how this book was inspired and how it evolved. For years when I spoke to groups I teased that one day I was going to write a book about a writer who confused fame with fulfillment and that I would call it “Oprah Doesn’t Know My Name.” One day my publisher heard me say that and suggested that I write that book. I told them they wouldn’t like it because it would be so different but they insisted. I wrote it. They rejected it! But one of the editors, after leaving that publisher, remembered the book and when he went to another publisher, approached my agent and wanted it. It went through huge changes during the four or five years as it sat in my document file never to be opened! I had a great editor and that helped a lot and voila, it arrived as Barcelona Calling. It seems there is something about Oprah having her name trademarked??? I still think the title would have grabbed a few people but one adjusts as did the writer in the book. I think every writer can see parallels in this story, trying to get published and then trying to get noticed by the “big leaguers.” How much of this is from your own experience? Sadly, quite a bit! Every time a book of mine comes out some well-meaning person says to me “Have you ever thought about getting Oprah (or Ellen or NPR etc.) to pick your book? I bet that would help your sales.” They mean well but it’s such a long shot. It’s like telling myself, “If only I could win the lottery then all would be well”…and of course it wouldn’t be. I don’t think I was quite as conflicted as Annie but sadly, some of the obscure things that happened to her (in bathrooms, at salons, on airplanes, etc.) have happened to me. I mean hasn’t every writer at one time had someone say “I always wanted to write a book” when they learn that they’re speaking to a writer? Yet neurologists rarely hear “I’ve always wanted to be a neurologist” after stating their profession. I did have to learn that I wouldn’t always get to choose my titles and that publishing is a team occupation and that was something that took Annie awhile to understand. I loved learning a new word, “Bezoars,” for hairballs! What fun. How did you find this word? I read my alumni magazines! There it was, people at the University of Wisconsin were doing research on cat food to reduce hairballs and there was the scientific name for it. It fit perfectly for my story. I was so happy! Your current release is Where Lilacs Still Bloom, another historical novel. Who or what was the inspiration for this book? This book is more like what my readers are familiar with. Hulda Klager was a simple German housewife with an eighth grade education who had a dream…she wanted crisper apples easier to peel and that led her to the world of botany and hybridization eventually developing 250 individual varieties of lilacs. The garden she created is on the national historic registry and a descendant patiently but persistently suggested over several years that I write Hulda’s story. When I realized how generous Hulda was and how persistent I found it to be one of the most inspiring stories I’d ever encountered. People can visit the garden in Woodland, WA south of Seattle and 30 minutes north of Portland, OR. A real treat for everyone. What is your next project? I just completed my latest historical novel, One Glorious Ambition: the Compassionate Crusade of Dorothea Dix. Dorothea was an early reformer on behalf of the mentally ill. It’s also an amazing story of a woman who turned tragedy in her own life into energy to relieve the suffering of others. She was also an early teacher, starting a school when she was 15, for girls, a rarity in the 1820s of New England. I also have a novella I’m working on and a devotional for caregivers Promises of Hope for Difficult Times coming out in January. Do you think you’ll do another contemporary? I wouldn’t say never, but I realized in this process that I rely heavily on the spine of history to tell my stories. It’s also true that a historical writer must create an unknown world that a reader finds believable (as do fantasy writers). In a contemporary, people bring their own “world” experiences to the piece. Everyone has a story about Starbucks or flying, for example, that affects how they see the contemporary world inside the book. In an historical novel people rely on the author to create experiences with stagecoaches or corsets, so I think it might be easier for the reader to step into the historical world leaving their own world behind for a time. The contemporary author has a more difficult job I think keeping the reader inside “their story” without us bringing “our world story” into the mix. Does that make sense? Anyway, it was much more work than I had imagined though I truly learned a great deal in the process. But then stories are always teaching us, right? That does make sense, something I hadn’t thought of before. I agree, as writers, we continue to learn and that’s the fun part of our chosen profession. Thank you, Jane, for sharing with us today. Annie Shaw is a writer with one bestseller, one book that tanked, a third book that isn’t doing all that well and a fourth book that may never see publication unless she can meet her new editor’s demands. She’s seeking fame and believing it will give her fulfillment and in the process acquires a dog, huge legal fees for unusual accidents and comes face to face with a love she left behind in Barcelona, Spain. “In Barcelona Calling protagonist Annie Shaw throws herself into all the zany ideas for attracting Oprah’s attention. Along the way she forgets for a little while about what is really important and loses herself in schemes for fame and recognition. This is a funny, entertaining story that brings home the message of being true to yourself.” Deon Stonehouse, Owner of Sunriver Books and Music, an independent Book store in Oregon. Marketing is a big scary, challenging world to the newly published writer, and sometimes even to the multi-published author! Thanks to Carolyn for sharing her tips with us today. Hint:Any promotion you do including a contest is more powerful when you call on your friends to tell their blog visitors or Facebook pals about it. Though it may be a bit more expensive than some ideas in this book, learn more about Google’s AdWords and AdSense and Facebook’s ad program. Many authors of niche nonfiction or fiction that can be identified with often-searched-for keywords find this advertising program effective. Some of your reviews (both others’ reviews of your book and reviews you’ve written about others’ books) have begun to age from disuse. Start posting them (with permission from the reviewer) on Web sites that allow you to do so. Check the guidelines for my free review service blog at TheNewBookReview. Explore the opportunities for speaking on cruise ships. Many have cut back on the number of speakers they use, but your area of expertise may be perfect for one of them. I tried it, but found ship politics a drawback. Still many authors like Allyn Evans who holds top honors in Toastmasters and Erica Miner have used these venues successfully. For help with the application process from beginning to end, contact Daniel Hall at Speakers Cruise Free. Carolyn Howard-Johnson, instructor for nearly a decade at the renowned UCLA Extension Writers’ Program, has been promoting her own books and helping clients promote theirs for nearly a decade. Her marketing plan for the 2nd in the HowToDoItFrugally series of books for writers, The Frugal Editor: Put Your Best Book Forward to Avoid Humiliation and Ensure Success won the New Millennium Award for Marketing. 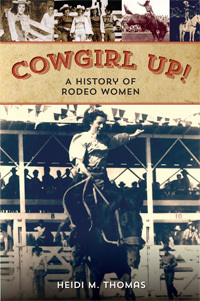 She just issued the second edition (New! Expanded! Updated! And already an award-winner!) 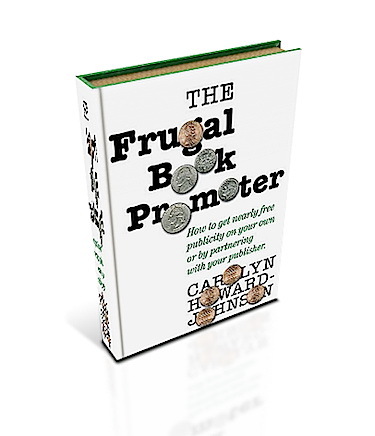 of The Frugal Book Promoter. Learn more about her at www.howtodoitfrugally.com. I got acquainted with Bob Sanchez through an on-line Blog Book Tour group and I’ve watched and listened as he went through the process of publishing his books through Amazon’s CreateSpace program. 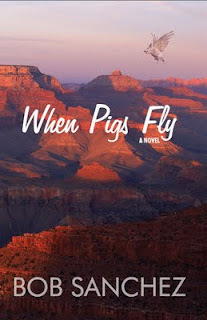 I just finished reading When Pigs Fly, a zany, “Three Stooges” or “Keystone Kops” type of adventure that takes you on a cross country chase from Massachusetts to Arizona. His second book is Getting Lucky, a missing persons case, in which Pigs’ retired cop Mack Durgin is resurrected in the character of Clay Webster, Private Investigator. 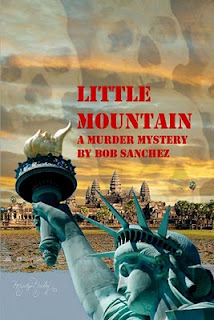 In Little Mountain, Sambath Long, a Cambodian refugee, is now an American homicide cop. Sam’s investigation of a brutal murder unearths painful memories that threaten to tear his own life apart. Welcome, Bob, and congratulations on your three books. What made you decide to become your own publisher with CreateSpace? Thanks for honoring me with an interview, Heidi. I’d started writing novels around 1990 and found three agents over the years. None sold any of my books, though, so I eventually decided to get my books published and let readers decide if they were good enough. Can you share briefly your publishing experience with CreateSpace? Initially I published with iUniverse, which turned out to be a mixed bag. They charged too much for publication and controlled pricing. They put out a good product, though. CreateSpace doesn’t charge for publication, and they let the author set the price. What advice would you give anyone who wants to try this route? Don’t cut corners. Be sure your novel is the absolute best you can make it. Get several competent critiques, and hire an editor. You’ll also need a professional-looking cover. Don’t settle for someone’s template. Do you have a background in writing or is this something you’ve undertaken as a second career? Have you been published elsewhere? Yes and yes. Technical writing was my second career, and novel-writing was a hobby that allowed me to express myself creatively. A few of my short stories have been published over the years, I’ve sold non-fiction to several magazines, and I write book reviews as well. Why do you write, what is it that makes you do it? It’s what I’m best at. Lord knows I can’t play a piano, fly a plane, or write a computer program. And although I make a few dollars writing, the ego boost from readers’ comments keeps me going even more. Once a woman wrote me saying her mom had recently died, and she consoled her father by reading When Pigs Fly to him. That email was worth—oh, about a million dollars to me. Your three books seem to have a common thread in that they’re all about solving crimes. How do they differ? Another common thread is that they all have a tie-in to Lowell, Massachusetts, a city near where I used to live. They differ in their level of seriousness as well as in their genre. When Pigs Fly is a comic road trip, Getting Lucky is a noir P.I. novel, and Little Mountain is a police procedural with a strong ethnic angle. It began with the serious premise of FedEx showing up at a man’s door and delivering an urn with his brother’s ashes. That didn’t get far, and I set it aside. A couple of years later, I remembered it when I wanted to write a comic novel. The story’s javelina didn’t even appear until the second draft, though. But then what to call it? When Pigs Fly fit best, but it sounded like a children’s book. Referring to a scene in the book, a friend suggested the title Asses to Ashes. I will be forever grateful to iUniverse for saying they hated that. What do you do to market your books and what has worked the best? 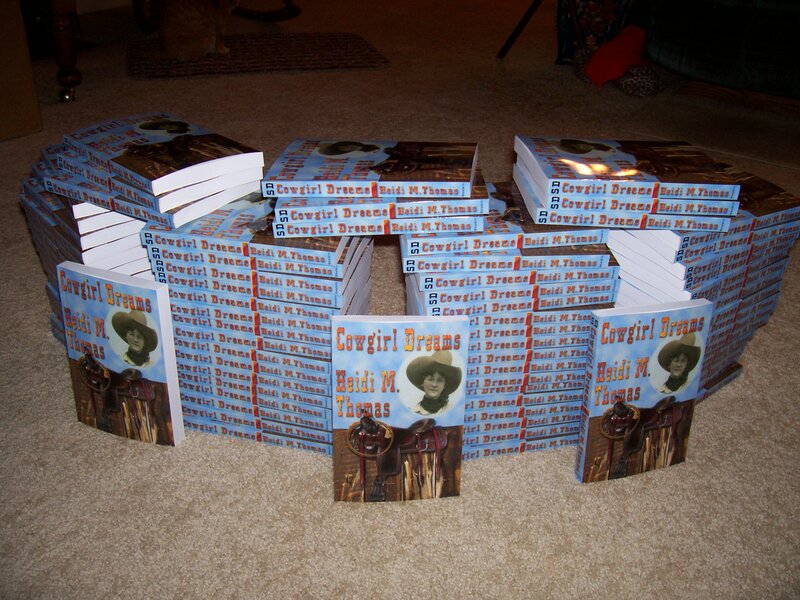 I used to do book signings, but never sold many copies. So I reissued all of my titles as ebooks and promote them on Twitter. In general that works well, though there seems to be a July-August slump. I tell people my novels are good summer reads, but maybe no one wants to bring a Kindle to the beach. Do you have a life’s philosophy and does it translate to your writing? The Golden Rule: Treat others the way you want to be treated. I try to make my main characters follow that principle. If you could have dinner with six people, alive or dead, who would they be? My goodness, why would I want to have dinner with a dead person? Oh, I get what you mean. Let’s set aside family, who would be my first choice. I would like to break bread with Abraham Lincoln, Ralph Waldo Emerson, Jesus Christ, Marie Curie, Groucho Marx, and Mika Brzezinski, all at once. Can you imagine the stimulating conversation? Groucho would of course be there to deflate egos and lighten things up now and then, while Mika would be asking lots of good questions. Now THAT would be a fun and interesting dinner party! Thank you for joining me today, Bob. Bob Sanchez’s books are all available on his Amazon author page and his free short story collection is available on Smashwords. You can read his Blog, The Funny News Leader, and follow Bob on Twitter: @desertwriter and Facebook . Bob Sanchez was born in New Orleans, grew up and worked in Massachusetts, and lives with his wife and two cats in New Mexico. Bob has published three novels: When Pigs Fly, Getting Lucky, and Little Mountain. He actively participates in several writers’ groups, edits nonfiction reviews for The Internet Review of Books, and maintains or contributes to several blogs. What’s Your Excuse for Not Selling Books? Reprinted with permission from Patricia Fry, article appearing in Francine Silverman’s Book Promotion Newsletter. I’m sorry, but sometimes I get exasperated with authors who make excuses for not promoting their books. Some of them are known for their aggressive marketing tactics. There are also those who had every intention, BEFORE they finished their book, of presenting a major and ongoing marketing campaign. And then, when opportunities arise to promote their books, they have nothing but excuses as to why they can’t/won’t participate. Wanna hear some of them? • I don’t have any copies of my book right now. This one still has my head spinning. You should always have copies of your book to sell. How long does it take to get copies from your print-on-demand company or your publisher? Ten days? Two weeks? What were you thinking about when you looked at your box of books and it was getting low? Why didn’t you order books then—before you ran out? • I had a bad experience last time I did that activity. Well, what makes you think the same thing will happen again—that the same people will be there, that the stars will line up in exactly the same way? And what can you do to change what happened last time? • I don’t sell many books when I go there. How many do you sell when you stay home? • I don’t like crowds. Then, perhaps, you should have hypnosis to get over this phobia or look into another business—like being a mortician. • I’ll go out and speak only if they pay my expenses. And you have earned your speaking credentials how? • I don’t like to get up in front of groups. If your book is particularly conducive to live presentations and if you want to sell copies of your book, you’d better find ways to get comfortable with public speaking. • I don’t want to bother people on my email list with notices about my book award, new Kindle book, upcoming speaking engagement, etc. Helllooooo, your address book should be made up of your readers—your audience—and they should be interested in an occasional notification from you. • I didn’t know it was up to me to promote my book and I didn’t know how hard it would be. It’s never too late to study the publishing industry, which is what you should have done before you even started writing the book. Do you make excuses for why you cannot go out and speak, do book signings, sign up for book festivals and so forth? Are your excuses valid or are they just excuses designed to maintain your comfort zone? Think about this. And think about how many books you’ve sold in the last week, month, year. 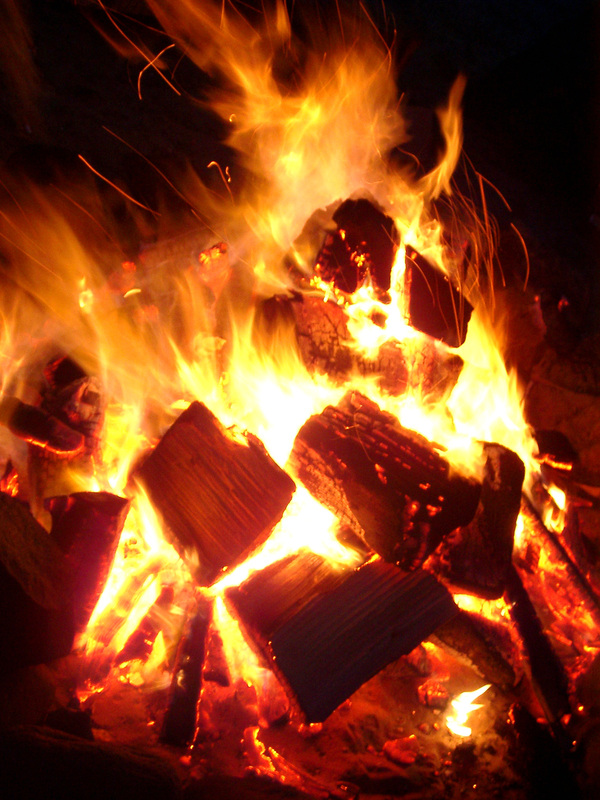 Do you see a correlation between your promotional activities (or lack of) and your book sales? 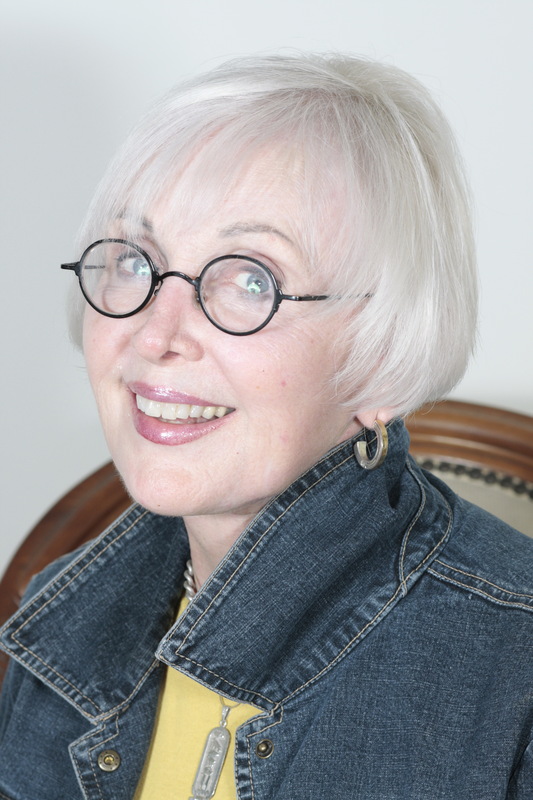 Considered “a maven when it comes to counseling authors in the art of publishing and selling their books” and “one of the most well-known writing gurus,” Patricia Fry has been working with other freelance writers and authors for over two decades.